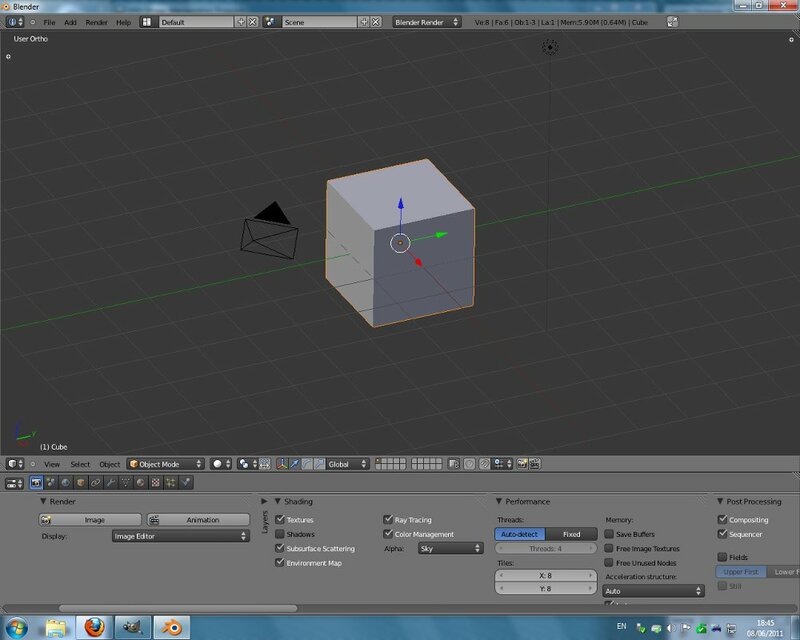 After being around on the BB for a while now I have noticed that there are many people who want to learn how to use Blender, this thread will hopefully fill with tutorials and be the parallel of the Wings 3d thread. All of my tutorials in this thread use Blender 2.57b so if you have an earlier version you should update it. 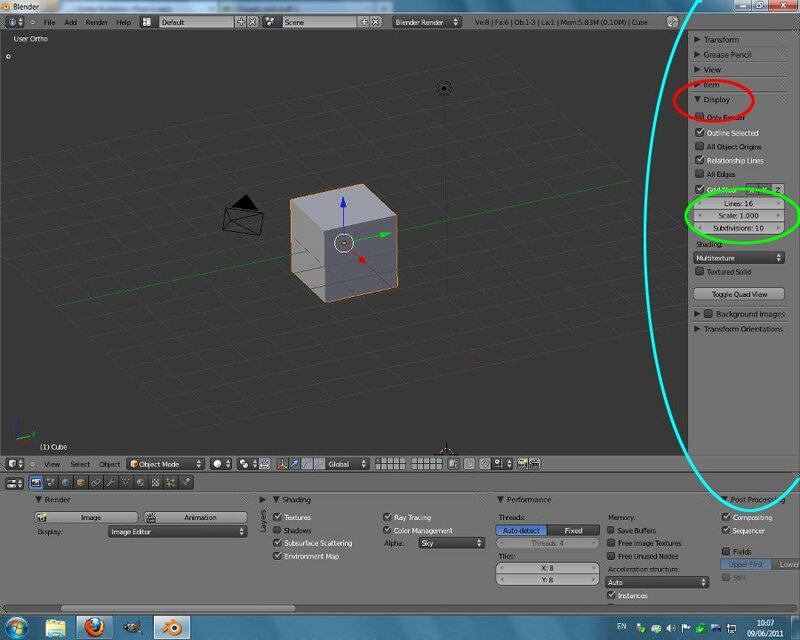 To start the ball rolling here is a quick tutorial explaining how to set-up the display for modeling. 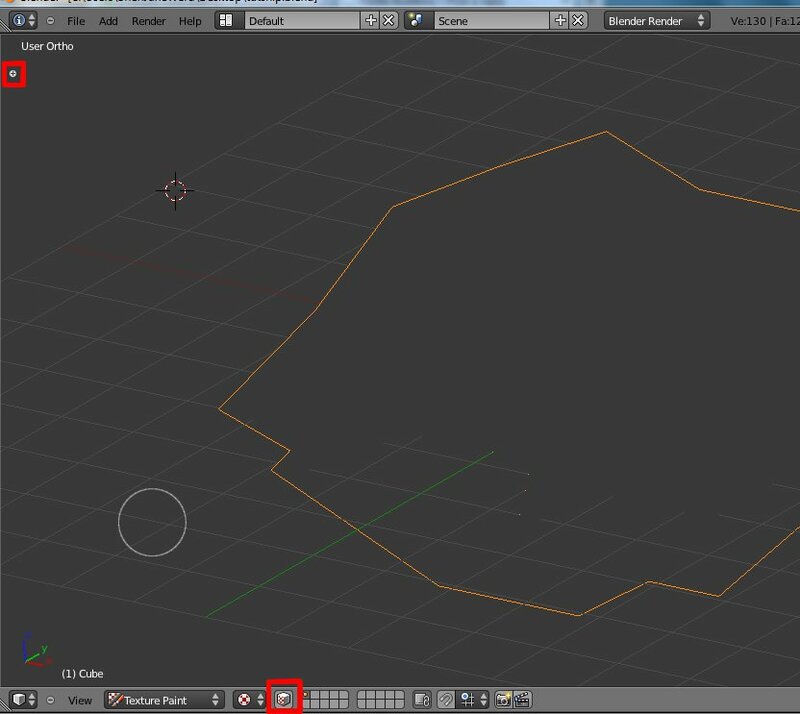 When you first start Blender you will be greated by a screen that should look exactly like 'A', this is not the best set-up for modelling and is better suited to animations (which is not what you want). First you need to right click on each of the boarders and select 'Join Area', then click on the sub-window you want to remove. Do this for all 4 boarders in the order stated in part 'B', when finished you should have something that looks exactly like 'C'. Now, at the moment it is in 'perspective' mode, which is not best suited to modeling and can give a false sense of scale, to change this click the 'veiw' button in the bottom left corner, then click 'Veiw Persp/Ortho'. 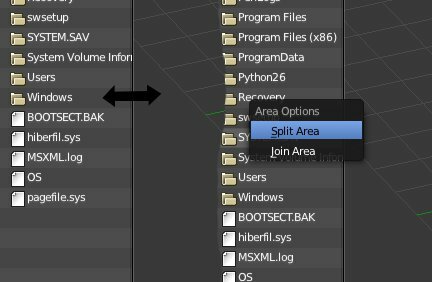 You also need to right click the left (or right) edge (blue arrow) and select 'split area' then click where you want to split it, I would recomend somewhere in the lower third, you should now have something that looks like 'D'. Now click on the menu icon highlighted by the blue arrow, then select 'properties', right click on that area and select 'align-horisontal'. If you have any Blender tutorials or quetions post them here. Last edited by Staer9 on Thu Jun 09, 2011 5:22 pm, edited 1 time in total. On a Wiki it is a lot harder to ask questions, and I would have no idea how to set it up either. If someone else wants to post these tutorials to the wiki, feel free. Now one important aspect: Ship scale. The first thing you need to know is that the standard grid setup is not large enough, at only 16m by 16m you will be unable to fit a decent sized ship in there. It is very simple to increase the size of the grid, just press the 'n' key on your keyboard and you will be greeted by an area like the blue one in the screenshot. You should now see the size of the grid increase masively. Last edited by Staer9 on Thu Jun 09, 2011 2:50 pm, edited 1 time in total. In my last tutorial I gave a reference to 'edit mode', this one will fully explore the purpose of blenders modes and which ones are likely to be useful for spaceship modelling. 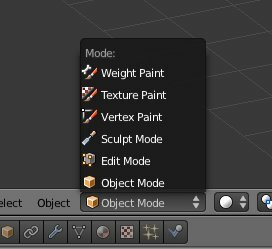 Object mode: shows all the objects in the scene and is useful for moving them around, however oolite ships do not have more than one object (only model subentities which are actually different files) so this mode is not overly useful. Edit mode: by far the most useful mode of them all, it is through this that you will make your ships (further explanation on this later). 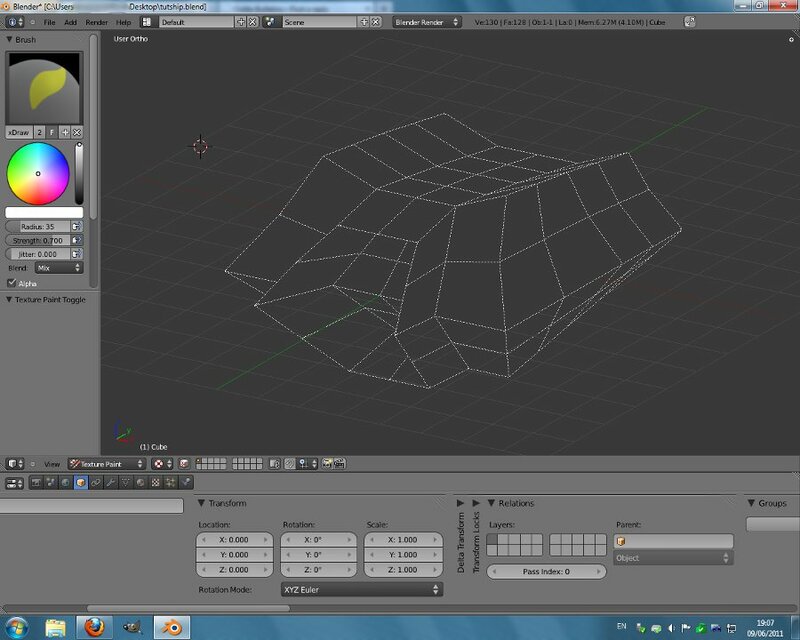 Sculpt mode: Very useful for making faces, utterly useless for making spaceships. 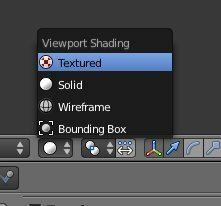 Vertex paint: I am not quite sure what the point of it is, I have never used it. Texture paint: By far the best way of creating quick textures, most of my textures were made in Texture paint mode. Weight paint: Useful for games as it makes parts of the models weigh more than others, however oolite does not support weight paint and does not need to. 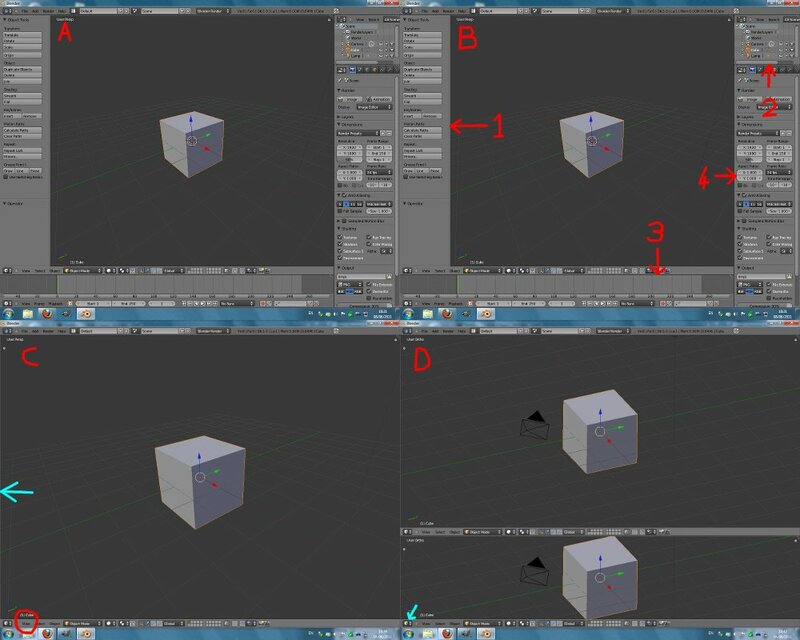 You need to know how to access these modes as they will be refered to in future tutorials. 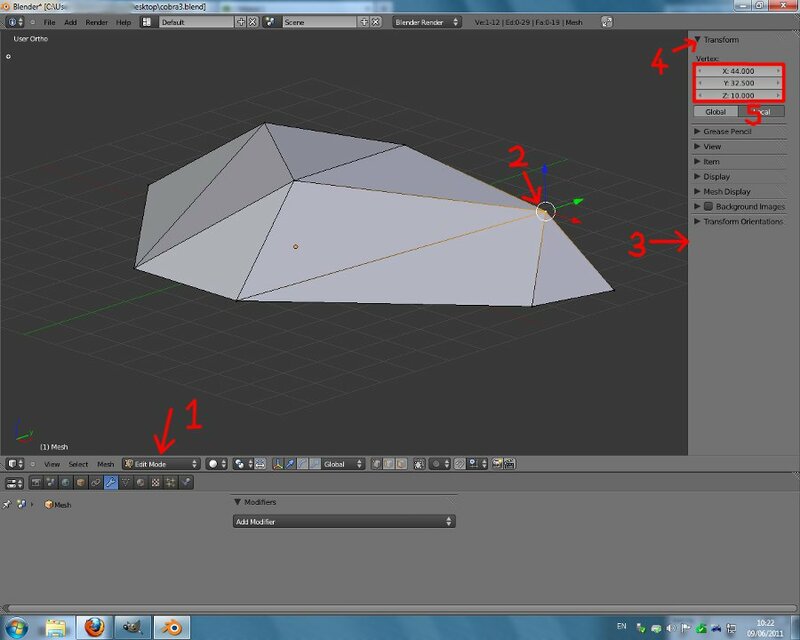 This tutorial will teach you the basics of modeling. First you need open a new file, you will be greeted by the cube, a camera and a lamp. To scale it up simply press 's' and move the mouse away or towards to scale, left click when it is the size you want. Now, 8 vertexes is not enough to make a decent model, so what you need to do is press 'a' until all of them are selected, then press 'w' and click 'subdivide'. You should now have something that looks like the third image. Now creativity comes in, select individual vertexes (right click) or select multiple ones (hold shift and right click) and move then around using the three arrows. Keep doing this until you have a shape you like, I ended up with the shape from the forth image, if yours doesn't look like that it doesn't matter. Now you can either choose to leave it like that or you continue to work on it, you may need to subdivide it again. 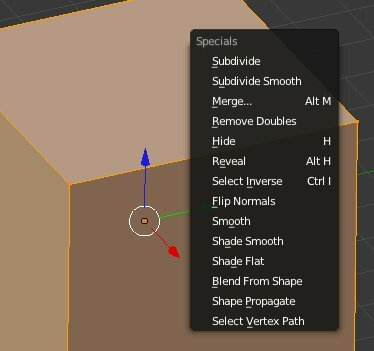 Another useful way of changing it's shape is by selecting some faces (select the vertexes around it and it will automatically select the face) and pressing 'e', it will extrude those faces. Extruding is my favourate way of making my models, the image below is the result of a few more minutes work on the model, and a lot of extrusion. Give this man a (virtual) beer! This tutorial will teach you how you use the 'Texture paint' mode, it is much quicker than making a texture in Gimp/Photoshop but generally will not give such a good result. now click 'image' > 'new image', call it whatever but make sure you add the .png suffix to the end or it will think it is a jpg, keep the rest of the settings the same, but change the colour to a dark grey. The next step is to set it to set the other area to edit mode. Now select all the vertexes (you can do this by pressing 'a'). 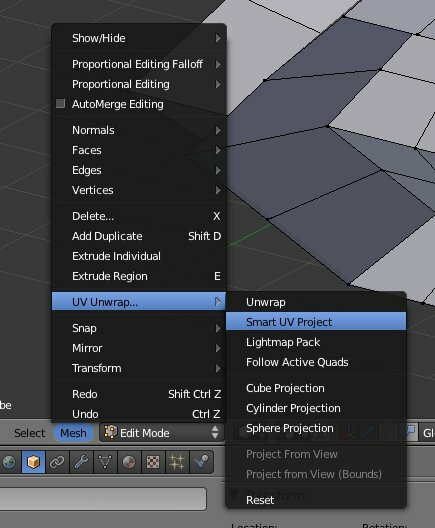 You will need to unwrap your texture, you can do it manually but it will take you ages, it is much easier to go 'mesh' > 'UV Unwrap' > 'Smart UV project' (like below). You can close the image window if you want. Now it is completely up to you what you do, play around with the menu to change opacity and colour and just draw straight onto the model, please post your finished creations to the 'Show and Tell' thread. Last edited by Staer9 on Thu Sep 22, 2011 11:10 am, edited 1 time in total. So far you will have used 3 of the 16 Editor types, these are probably the only three you will ever use. 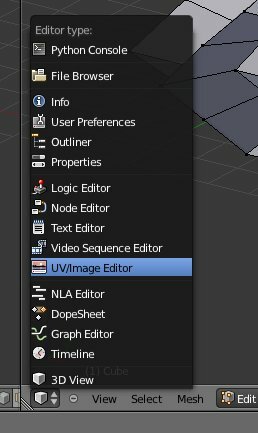 These editor modes can be changed by clicking on the icon in the top/bottom left. 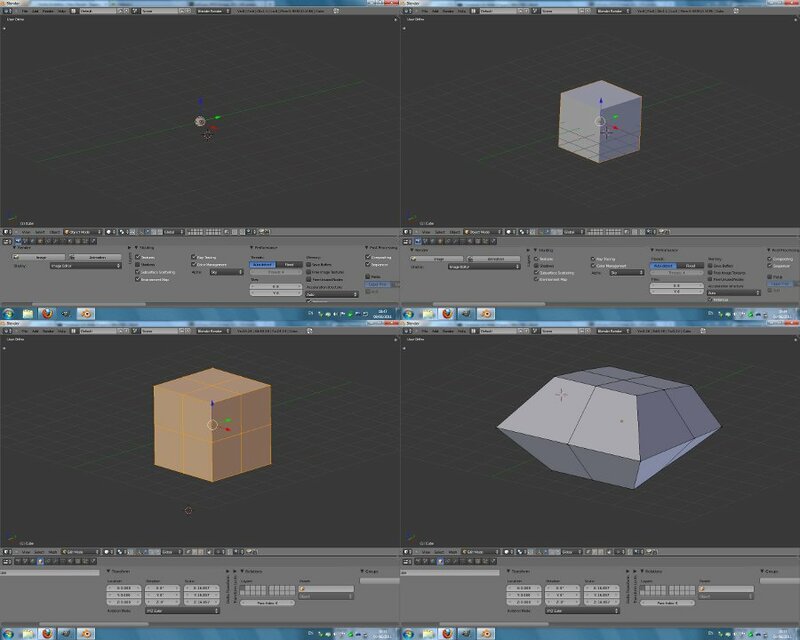 If you want to see the polygon count of your current model it is displayed nicely in the top left, to make a ship that runs smoothly it is good to aim below 1000 polygons, most systems can run up to 2000 polys, even this computer that has no extra grafics card can run my Batship which has 7000 polygons. 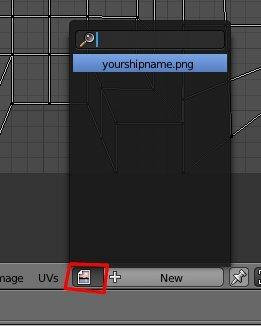 In the top left corner of the properties area there are 11 buttons, again only a few actually have a purpose in ship building, those are the highlighted ones, which are called: 'Object, Object constraints, Modifiers and Object data' in that order from left to right. Object = shows basic object settings, DON'T CHANGE THEM. Object data = not very useful but still has some purpose. This has been used allready when you subdivided your models in the simple modeling tutorial, this one will explore it in more depth. Brilliant blender tutorial. 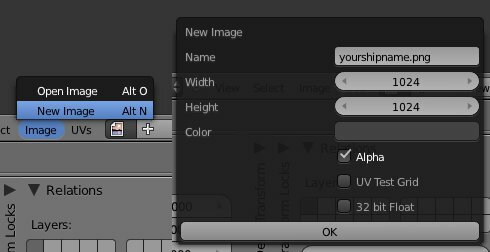 Made so by the fact that it doesn't start with the lines "Blenders interface is a little unusual so..." or "Blender can do lots of stuff. Let me take you through the entire interface before we start..."
You want to do this. Here's how. BTW the layout is rubbish, lets set it up nice first in simple steps. Next thing is that when I right click on the borders, I don't even get a drop down menu, so I can't get to the "Join Area" command. What am I doing wrong. I'm obviously missing something. Right off I have a question. 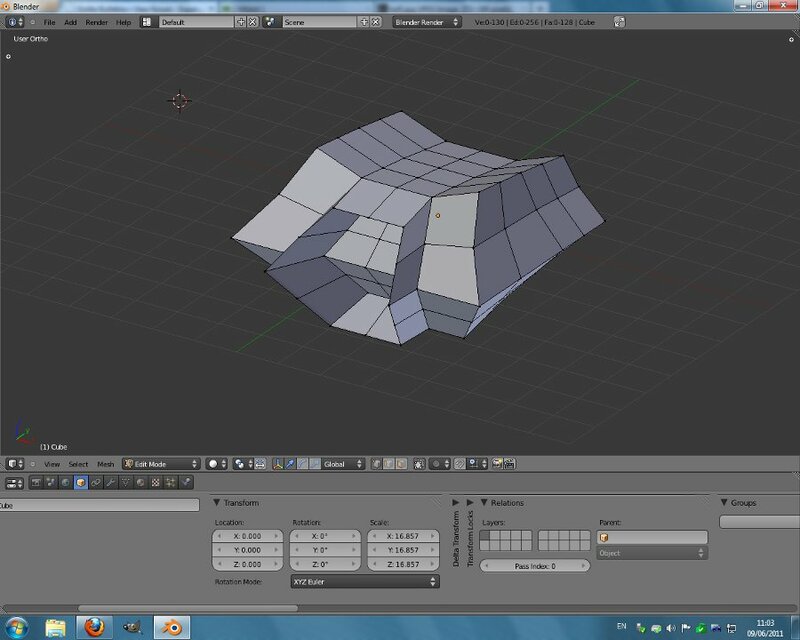 I downloaded Blender 2.57b and extracted it. On opening, the first thing I see is a Window very similar to what you show in A, but not exactly like it. On top of that window is a smaller window with what looks like a chameleon in it. That went away when I left clicked on the main window. 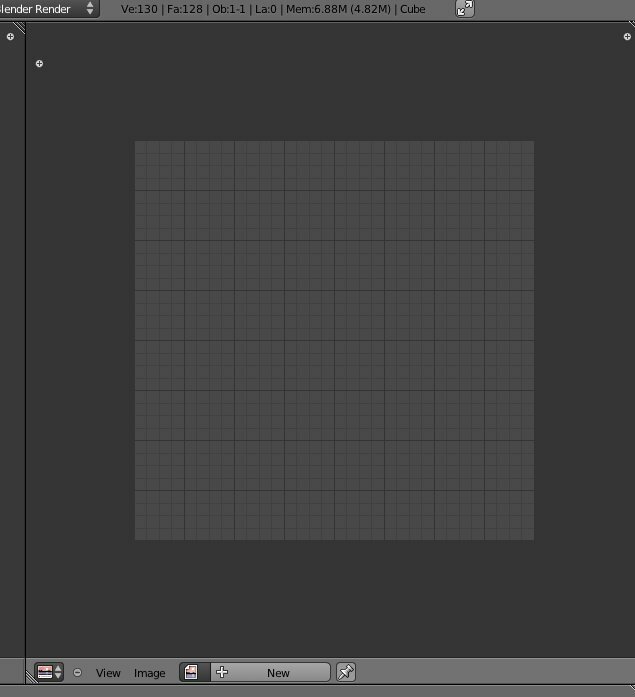 The chameleon thing is perfectly normal, it will appear every time you start blender and you did exactly the right thing to remove it: click somewhere in the main window. first of all are you absolutely sure you were clicking on the boarders, (this may sound silly but some things that look like boarders are not. You are correct, I wasn't clicking on the correct spot. I seem to be on track now, but I'll be back.